Retirement portfolios should be stock-heavy in the early days and gradually move to lower-risk holdings as investors get closer to retirement. That’s been conventional wisdom around asset allocation for retirement. Riskier early, because without risk there’s no reward, and you have a lot of time for the ship to right itself if there’s a tough patch. Safer later, because you don’t have that time to recover after a market dip. JP Morgan just released its annual guide to retirement , and it reminds people exactly how important it is to follow this second part of this mantra. In the chart below, three types of portfolios are shown. They all have the same average return of 5% per year, but the first one has great returns at the beginning but a bad end, the second one has an even 5% return throughout, and the third one has a great end but a bad start. 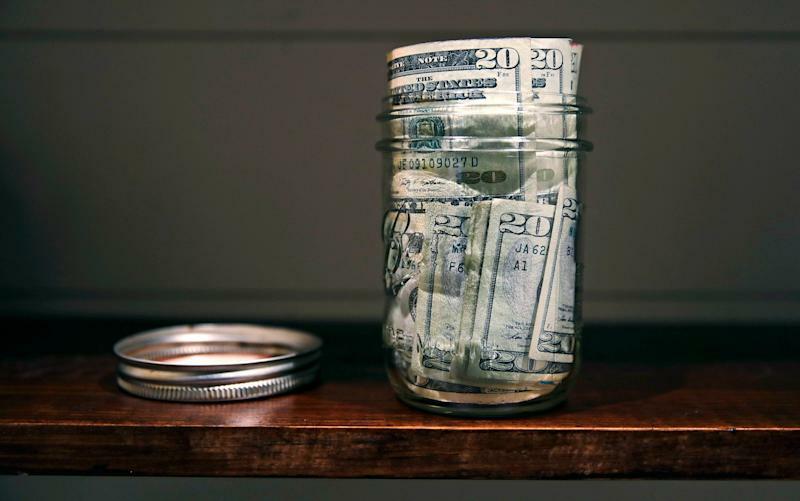 For ease, it assumes an annual savings rate of $10,000 annually. There is a reason the conventional wisdom says to derisk towards the end of your career as you approach retirement. For about 25 years, the portfolio values look almost identical, as the amount of money being put away outpaces the yearly returns. But in the last three years before retirement, they diverge dramatically. The portfolio with the bad start but good end: $948,000. The consistent portfolio: $664,000. The good start but bad end portfolio: $485,000. That is almost twice as much for the good end. “The rates of return just before and after retirement — when wealth is greatest — can have a significant impact on retirement outcomes,” Katherine Roy, chief retirement strategist, and Anne Lester, head of retirement solutions, noted in the guide. 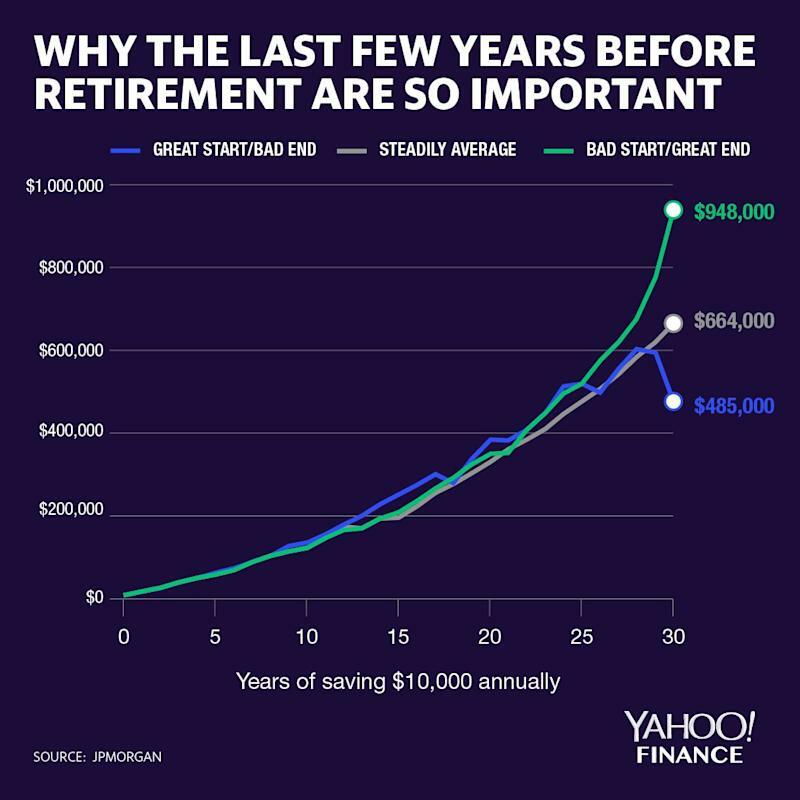 The key takeaway here is that a bad start doesn’t really matter much because saving is the important thing. But a bad end can demolish your gains. Roy and Lester said a key theme JP Morgan was preaching was paying attention to when de-risking a portfolio is appropriate, which is the type of thing someone might do to taper risk close to retirement. In other words, over time, certain asset classes’ volatility and returns can drift. For example, U.S. aggregate bonds and intermediate Treasuries carry similar volatility or risk. However, U.S. aggregate bonds provide more return. Moving to those classes is prudent, Roy and Lester say, given similar risk.